1" x 2" x 2" to 5" x 5" x 7"
House size: 4" x 3" x 2"
Two in a series of six. Smaller arch: 18" x 8" x 18"
Larger arch: 20" x 8" x 18"
Individual Drawings: varying dimensions from 8.5”x11’ to 13”x24”. Installation dimensions vary from site to site. I grew up on my father’s construction sites and later I worked on them. This foundational experience shaped my interest in how we perceive, navigate, shape, and represent space. Space, while tangible, is decidedly abstract, a tension I have repeatedly explored through drawing, sculpture, and installation. Specifically, I have looked at the relationships amongst architecture, landscape, and cosmology. By addressing these different scales of space, I could question the boundary between the tangible and the abstract, and much of my past work represented spaces beyond physical comprehension, such as magnetic fields, outer space, and the ocean. Recently, my work has returned to my roots in construction. I am fascinated by the form and function of job sites. As provisional zones where architectural space is portioned from a larger landscape, job sites exist as hybrids of landscape and architecture: they mimic both but are neither. They evolve as transitional architectures of scaffolding, planking, framing, etc., which in turn become a landscape through which to navigate the experience of space taking shape. I’m interested in referencing the material and visual language of job sites to create drawings, sculpture, and interactive installations. 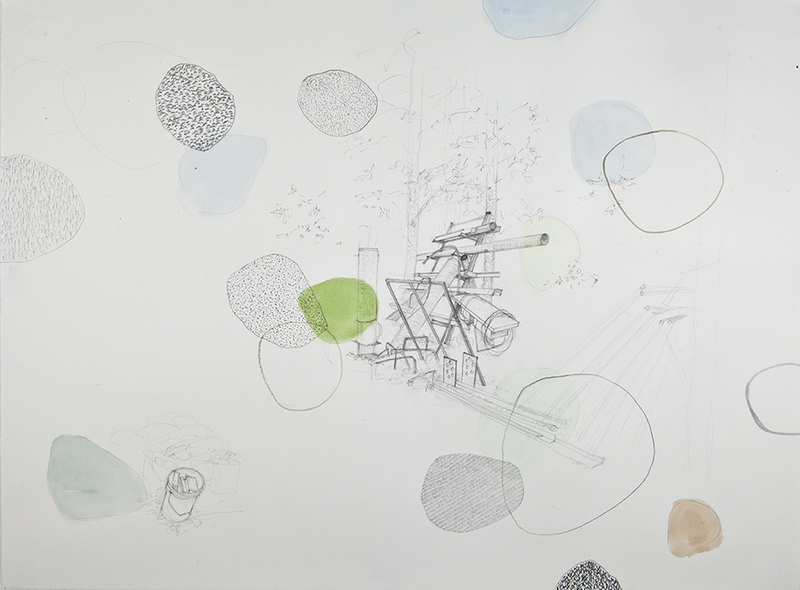 Originally from the coast of Maine, Leah Garnett lives and works in Sackville, New Brunswick. She has exhibited in Canada, the US, and Germany, and attended residencies at the Fire Station Artists' Studios (Dublin, Ireland), the MacDowell Colony (Peterborough, New Hampshire), the Banff Centre for the Arts, and Struts Gallery. She received her BA Honors from Brown University; BFA in Fine Arts from the Nova Scotia College of Art and Design; and MFA from the University of Guelph.